CLICK HERE to go to our Obituary Archives if the Obituary you are looking for can not be found here. Memorial Services for Lorene London Mathews, 85 of Roland, Oklahoma, will be at 2:00pm on Thursday, September 13, 2018 at Roland Hills Baptist Church in Roland, Oklahoma. 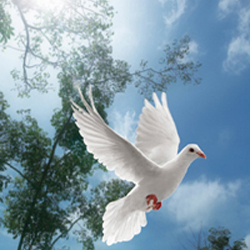 Cremation is under the direction of Agent Mallory Martin Funeral Service, Inc.
She was born on September 16, 1932 in Verona Community, Oklahoma to Evelyn Flanagan Qualls and Theo Qualls and passed away on September 10, 2018 in Roland, Oklahoma. She was a homemaker. Honorary Pallbearers will be Jeff London, Tyler Wood, Dakota Almendarez, Brody Almendarez, Ted Stamps and John Turner. 904 E Shawntel Smith Blvd.